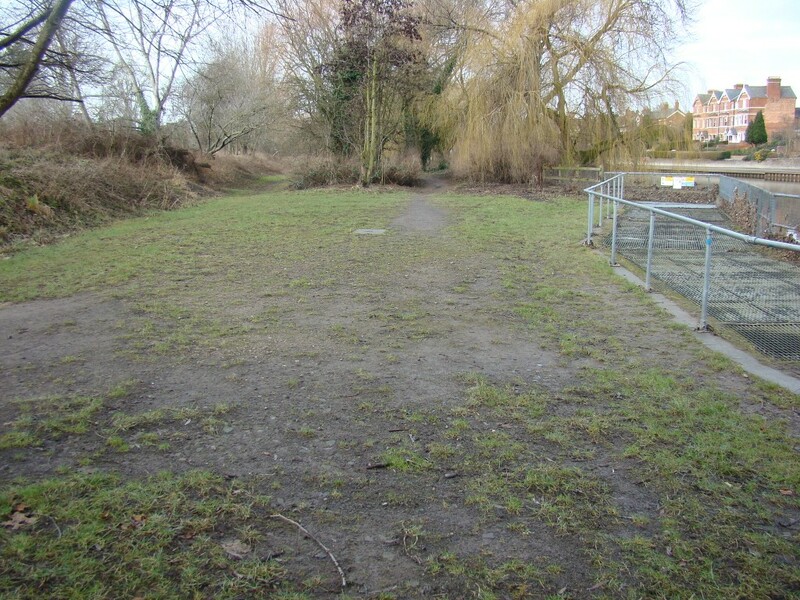 An extensive range of options was explored for siting the hydro scheme on one or other bank. Designs for projects using one, two or three archimedes screw turbines and either one or two horizontal or vertical propeller-type turbines were drawn up and the environmental and financial implications were analysed. It was clear that a hydro scheme was possible on either side of the river but siting the scheme on the south bank was preferable. 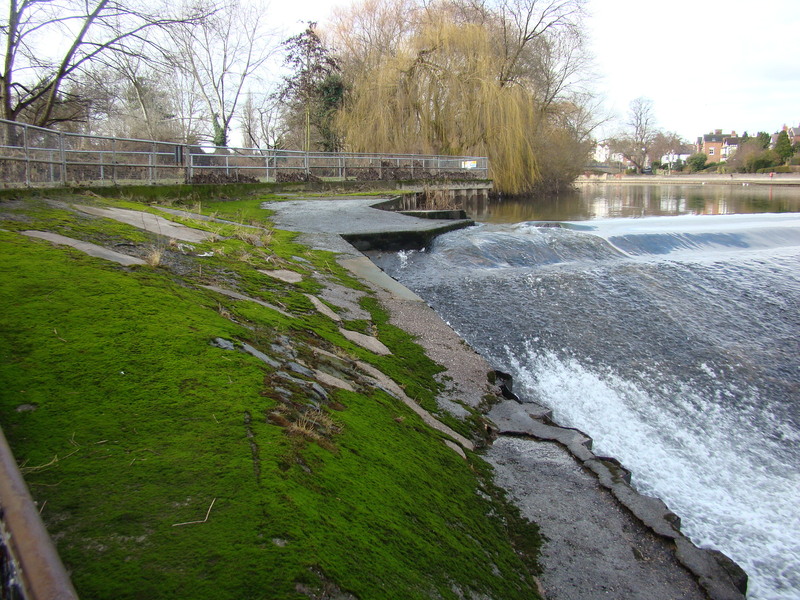 Over the past five years, Shrewsbury Hydro has put on exhibitions showing the different options for a south bank hydro scheme. Overwhelmingly the preferred choice of visitors to the exhibitions has been for a horizontal turbine sited below the existing ground level by the weir. 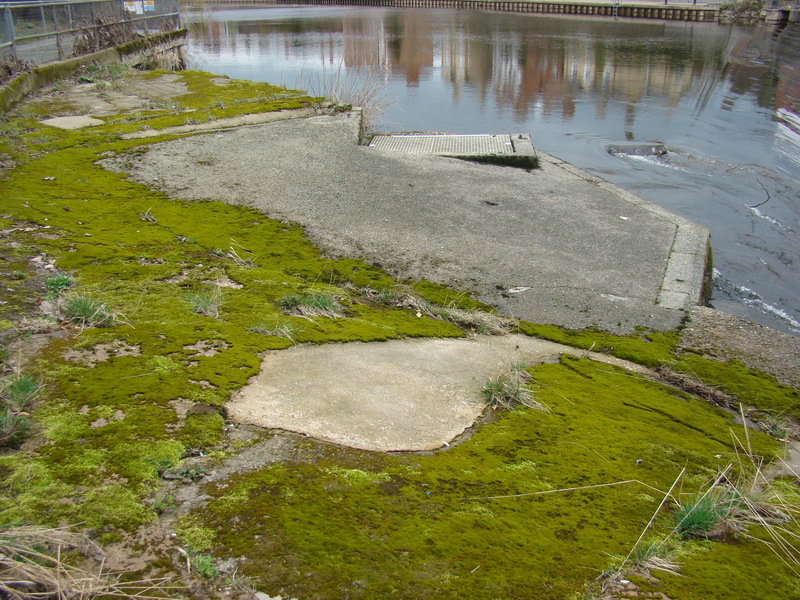 This area is shown in the photographs above and comprises some scrub land and some old concrete banking constructed in the 1970’s when the present fish pass was installed. The scheme has been designed so that its flat roof is at the same level as the existing grass.